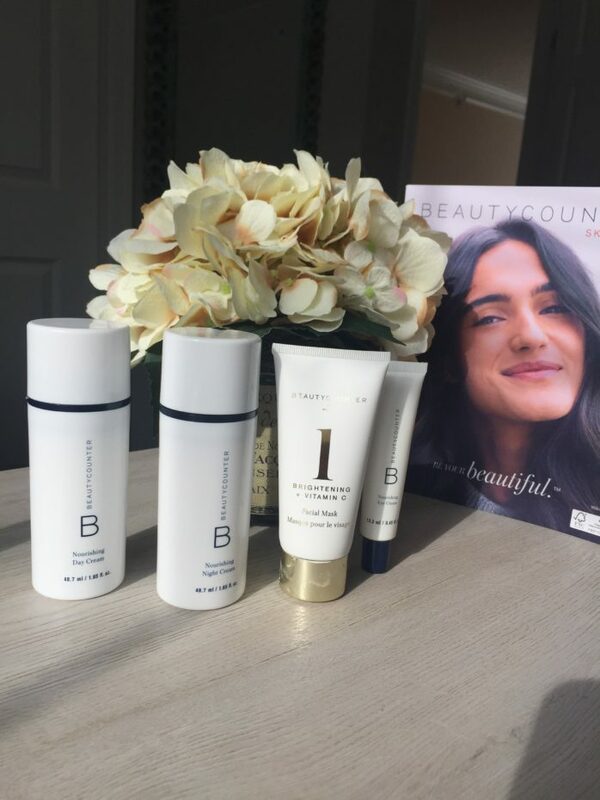 Blog Beautycounter Review: What Do You Know About These Products? While I had been hearing buzz about Beautycounter for a few years now, I had yet to really check out them out. 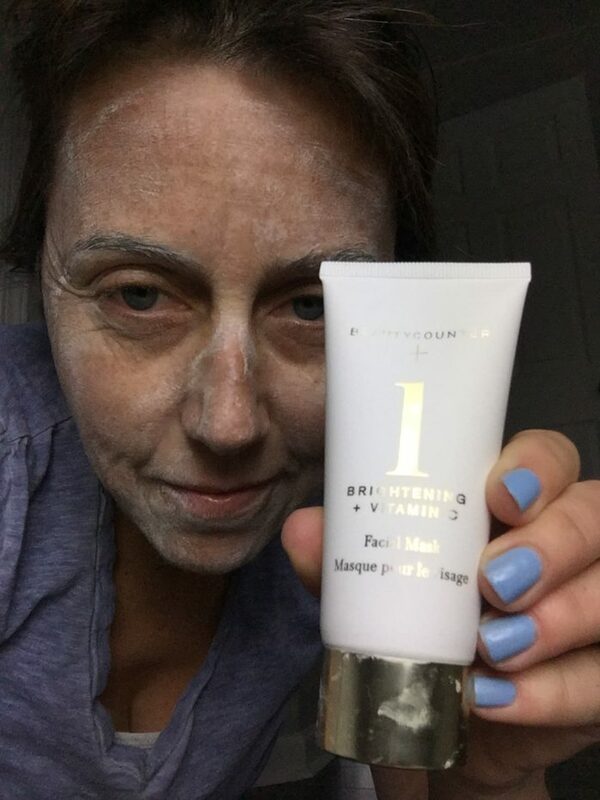 So when I recently ran into the sister of a friend of mine – a Beautycounter rep – I was intrigued enough with what I had heard to finally try some of the products. Lori met me and gave me a bag of products to take home and try out for the weekend. Do you know what goes into the skincare products that you use and put on your face? We’re so careful these days with what we eat. You wouldn’t dream of eating foods with a bunch of chemicals mixed in, so why is it okay to rub them into our skin? 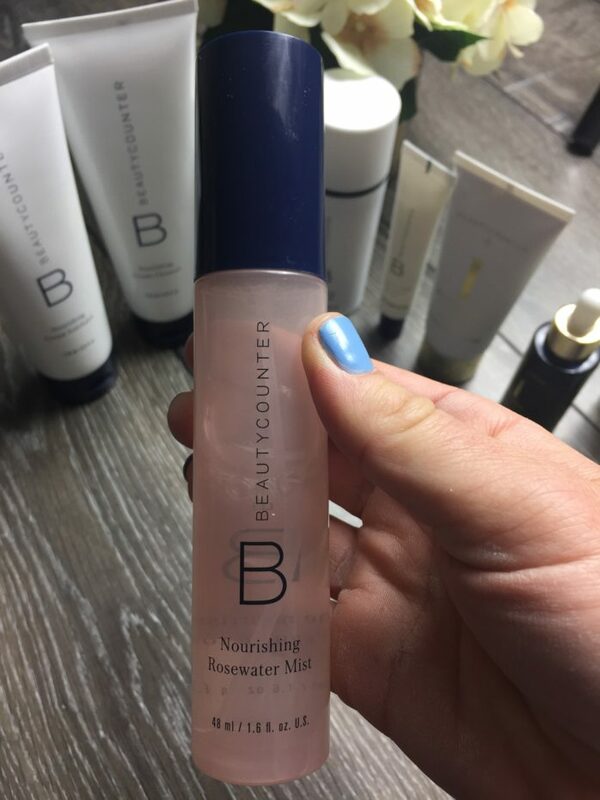 This is definitely something I have mulled around in my head in recent years, which is why I was intrigued to test out some Beautycounter products. The US has not passed a major federal law to regulate the ingredients used in personal care products since 1938.Is it just me or is that crazy? Right?! And that’s Beautycounter’s schtick. Since the government isn’t moderating it, they are taking on moderating it for themselves. 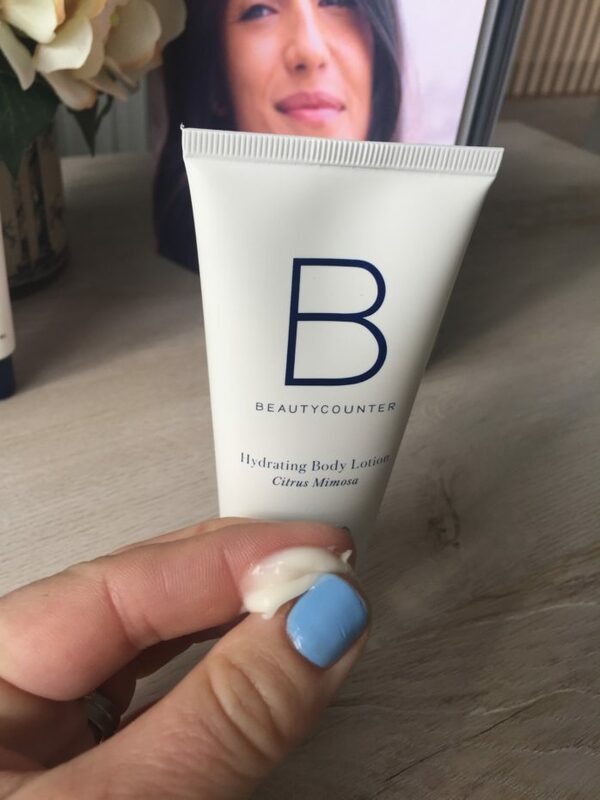 They are creating healthier products – products that don’t include anything on what they have titled their “Never List,” a list of 1,500 ingredients used in mainstream skincare and personal care products that Beautycounter has deemed harmful to our health. Here’s a little video on YouTube about it that’s worth the 3 minute watch because it’s a bit eye-opening. Anyway, this all seemed like something I could definitely get around. So I’ve tried a lot of beauty products with this job and I have to say, there were a few of these that I just loved! I just want to highlight some of the products that were my favorites (that I’m ordering now too!). Lori created an online social for me – a little online party so if you want to check them out, these links go to my party for the next couple of weeks. I make no money off of it but get some hostess perks if enough people do buy. Just an everyday lotion, this Citrus Mimosa is the bomb. I loved the consistency and it smells AMAZING. Oh yes, I’m posting a picture of myself with a face mask. You’re welcome for THIS visual. Hubby commented I looked like a KISS groupie. The is the Brightening + Vitamin C Mask and I don’t normally do face masks strictly because I’m too lazy and impatient to wait for it to sit but I’m buying this too because the results on my skin were incredible! My skin was SO soft after I used it. In fact, my bestie randomly commented to me the day I used it, “why does your skin look so good today?” So clearly it works! It’s not cheap but it’s my skin, so ya know. For everyday, I also loved the Nourishing Day Cream and Nourishing Night Cream (pictured above on the left). The Nourishing Eye Cream was also pretty great. In the spirit of full disclosure, are you wondering if there was anything I didn’t like? Well, they have these facial mists and I tried them and pretty much ended up spraying it on my face and then spitting because I got it in my mouth. I’m clearly challenged with the nuances of using a Facial Mist. It’s supposed to be refreshing but I dunno, this is probably something that won’t go into my shopping cart. 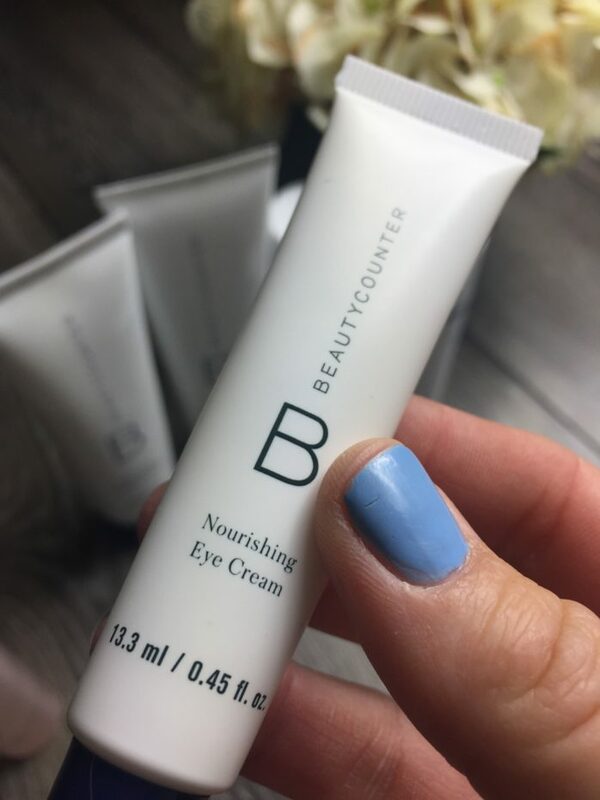 I’m excited too because I joined the Beautycounter membership – it’s$29 for a year but you get free shipping, 15% in product credit and if you spend $50 or more, there’s a free gift which happens to be this Nourishing Eye Cream for me today. No idea if it’s the same product every day but you do get a free gift of some kind. Anyway, I know it’s hard to consider ordering without trying a product out like this but if you’re willing to take a gamble, I’d love for you to shop my social and then please let me know what you think! And if that’s too scary, at least try and find yourself a local Beautycounter rep and check out the products. Anyone who knows me knows that I’m as big on skincare as I should be but I really liked most of these products.